If you’ve been following this blog you know that we’re super excited to be able to work with several students from Word of Life Bible Institute, Mexico. Matheus, Cheila and Rebeca will be ministering, worshiping, playing and eating with us here from this weekend (Oct. 7-9) through the beginning of December, then again from mid-January through May. First lesson for Matheus…taking him to eat some delicious tacos de tripa and lengua! I’ve asked them each to write a blurb so we can get to know them better. Matheus was first! So…here it is! Not sure if English is Matheus’s second or third language…but I’d say he did pretty well. Please be in prayer for the team here as we look forward to children, youth and adult ministry, and, Lord willing, another church plant. My name is Matheus Da Silva. I’m a 21 year old Portuguese-brazilian, Bible institute student in Mexico who was saved at the age of 5 in a Sunday school lesson where I learned that I was a sinner and that I deserved hell. A missionary told me that Jesus had died for me so that I could get access to God’s forgiveness and it was then when I made a decision to trust Jesus as the way to a better and eternal life. I grew up in a christian home but it was only till I was 13 years old that I realized that I could be useful to the church and I started serving in with the children’s ministry, youth group, teaching and worship (In Portugal). My life wasn’t perfect (it’s not perfect by now by the way!) and I came to the conclusion that my worldly ambitions weren’t God’s will for me and I was diverging from it. My goal is to live a life of peace with God and as long as I fulfill His will for me, I’ll be glad! That’s why I’m studying in Word of Life Mexico and wiling to do ministry in the church planting area. God has moved lots strings for me to be able to meet the Fry family and the work of the Lord that they are involved with in Ixtapaluca, and he has put in my heart the strong desire to help them out as I can knowing that it doesn’t depend on me or another person to do it but knowing that I’m just a tool only useful if God’s is the one using me (Isaiah 10:15)! 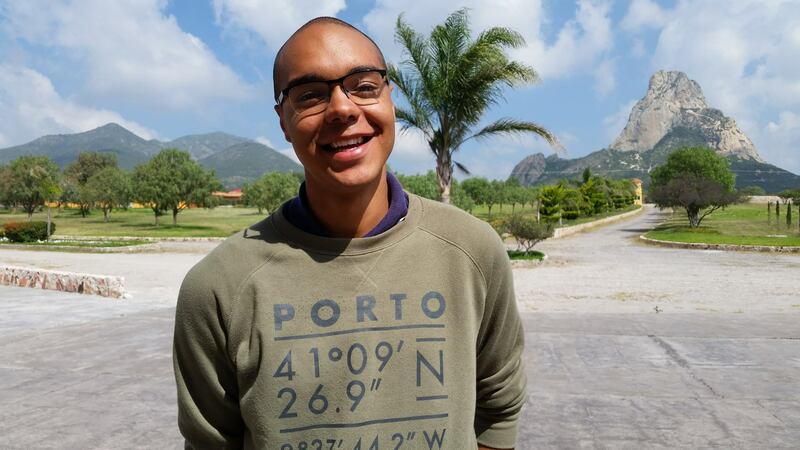 For more background on how we met Matheus, click HERE. If you would like to help us offset the expenses for Cheila, Matheus and Rebeca (bus tickets, lodging and food from September through next May) you can do so via Camino Global (thanks Jim and Shari) and an account that has been established for such expenses. Click HERE. If you’d like more info on what that amount is, email us or FB message us.